The Vomit Comic Robot creates one-of-a-kind comics on demand by processing hand-drawn images through a custom software algorithm. 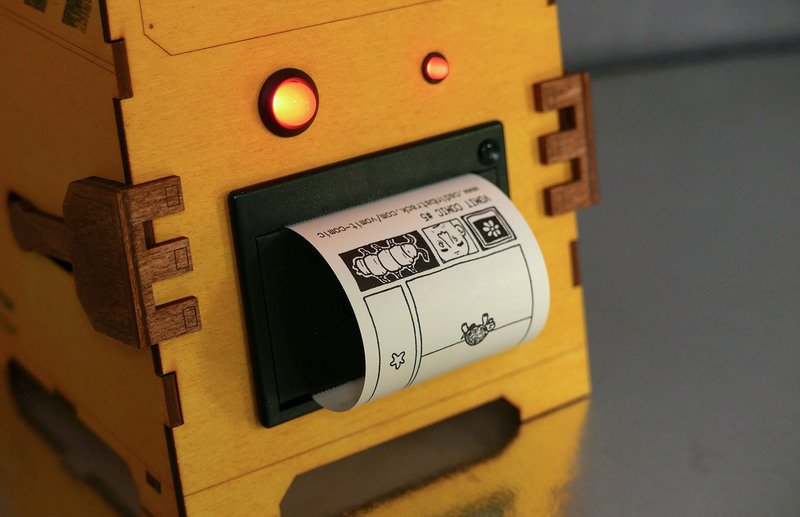 Comics are vomited out the robot’s mouth via a small thermal receipt printer, or saved as high-res images. Although images are selected and placed randomly, the comic panel format suggests relationships between elements. Our minds create a story where there is none in an attempt to explain visuals created by a non-intelligent machine. These high resolution images were generated by the random comic software. 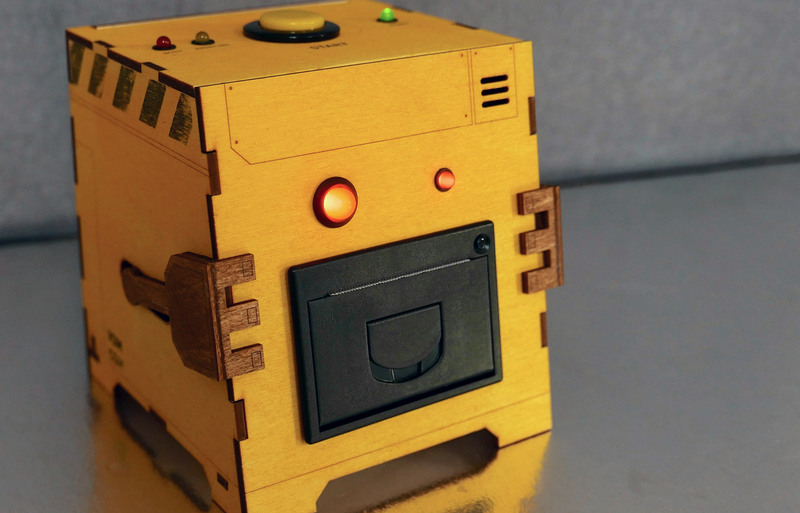 The Vomit Comic Robot consists of a Raspberry Pi and a thermal receipt printer mounted inside a laser-cut plywood case. 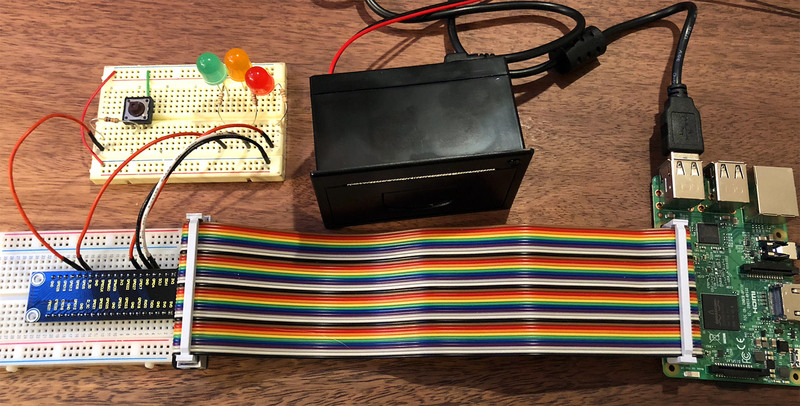 A Python script running on the Raspberry Pi controls the robot’s LEDs, handles button input, and sends the comic images to the printer. The comics themselves are generated by custom-built software created with Processing. The software first selects a grid layout for the comic. Each panel is decorated with a hand-drawn frame that corresponds to the panel’s dimensions. 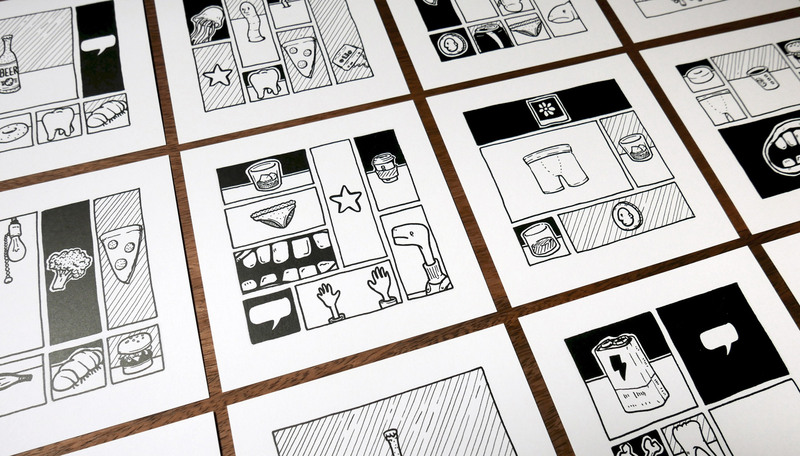 For each panel in the comic, the software randomly chooses an item from a large list of hand-drawn images. Each image has associated data that helps determine how it should be arranged within the panel. If the image is larger than the panel dimensions, it will be cropped to fit. The final composite image is saved as a PNG and then output through the thermal printer.